The coffee table PK61 is almost as elementary and minimalistic as it gets from the hand of Poul Kjærholm. Despite the extreme distillation of the structure into a set of identical elements, the square and aesthetic design has the power of a manifesto and shows Kjærholm’s development from industrial designer to furniture architect. 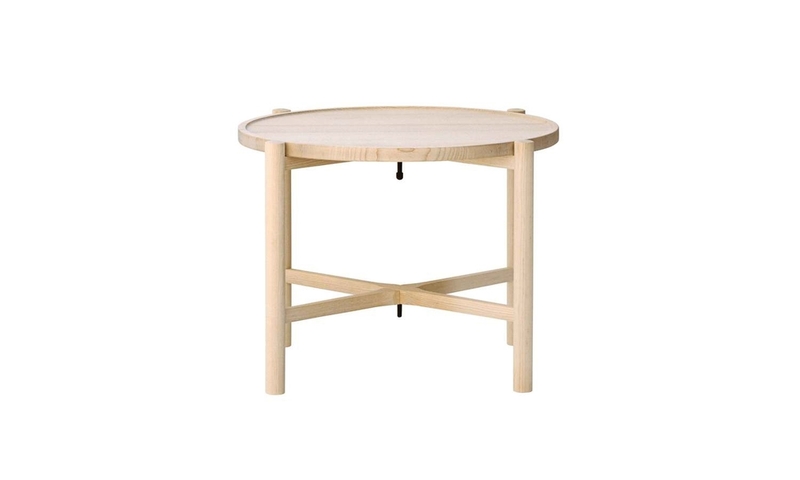 The table consists of three parts which Wegner has joined together in an elegant and flexible solution; two crossed, load-bearing wooden elements and a simple unattached round wooden plate. The table can easily be folded and packed away.